“Every year in the world, 15 million girls are reported to enter into marriage before their 18th birthday ”. This was the opening remark of the Director-General of UNESCO, Irina Bokova on occasion of last year’s International Day of the Girl Child in Canada. According to a report by the World Bank Group released in August 24, 2017- Girls are often rushed into marriage because of pressure from parents and relatives, poverty and lack of alternatives. The recommendation was however to harness education as a panacea to end child marriage. Although, by the statistics released by DHS from its recent survey, this practice of marrying off girls so early is becoming less popular in Nigeria, nonetheless, it is still between 40 & 50% and there’s still more to be done in order to curb its existence. MademoiselleFoundation cares about raising creative girls with independent minds who can make decisions for themselves which will be in their best interests for their future: This is what we seek to achieve through our “Colour Your Future” event to commemorate the International Day of The Girl-Child in partnership with University of Lagos. 1000 girls selected from up to fifty Secondary Schools in Lagos will be represented at the event which will take place at the University of Lagos, Akoka on the 25th of October. According the Founder and Executive Director, Mademoiselle Foundation, Adetoun Akitoye, this year’s IGD event will also mark the release of the 82 Chibok girls and the strength of those girls for survival as commended by the UN Deputy Secretary-General, Amina Mohammed, on the occasion of their release in May. On this occasion, Mrs. Mohammed stressed that investing in women and girls must be central to our efforts in Nigeria if we are to have sustainable peace and development. Mademoiselle Foundation is an advocate of investing in girls and through our event we want to instill the mindset of leading change into the minds of young girls, while helping them discover and harness their talents and their talents. Our mission 1000:100:10:1 involves raising 1000 girl leaders through the involvement of 100 volunteers and the motivation by 10 role models to achieve 1 goal which is to bring a mindset of readiness in girls. Beyond all said, the event will also highlight and address some problems that several girls face in Nigeria today including passing their examination into the tertiary institution and accessing scholarships. Standing up against abuse, domestic violence and child labour are also issues which will be addressed during our “Colour Your Future” event to commemorate International Day of The Girl-child, 2017. Dear Ahyur, Thank you for reaching out to us. We are happy to have your support in our work. 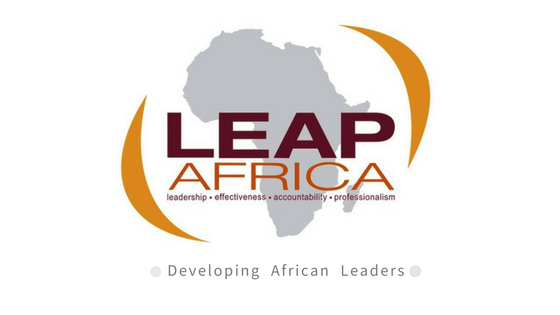 Do send us an email at info@leapafrica.org.